What an awesome day Sunday was, not only was there shockingly warm February weather, 50+ degree temps and loads of sunshine but also high spirits and fun at the annual NO FRILLS FUN RUN. Over 250 runners turned out to run a 1/2 marathon, or 1/2 the half...or whatever distance you felt like to benefit a local family, The Mays! The run is hosted on the beautiful Prairie Path that courses through Elmhurst and if you could avoid the muddy puddles it was a perfect running day! The No Frills has been held in a blizzard and freezing temps the past 2 years, so what a blessing this day was. Regardless of the weather the warm and fuzzy feeling and excitement from all of these wonderful people who donated their time, money and efforts for a great cause was palpable! But this race was hardly "No frills"!! There was Brewpoint Coffee serving up donuts and warm cups of Joe and Jimmy Johns sandwiches plus a great post party hosted at HB Jones. 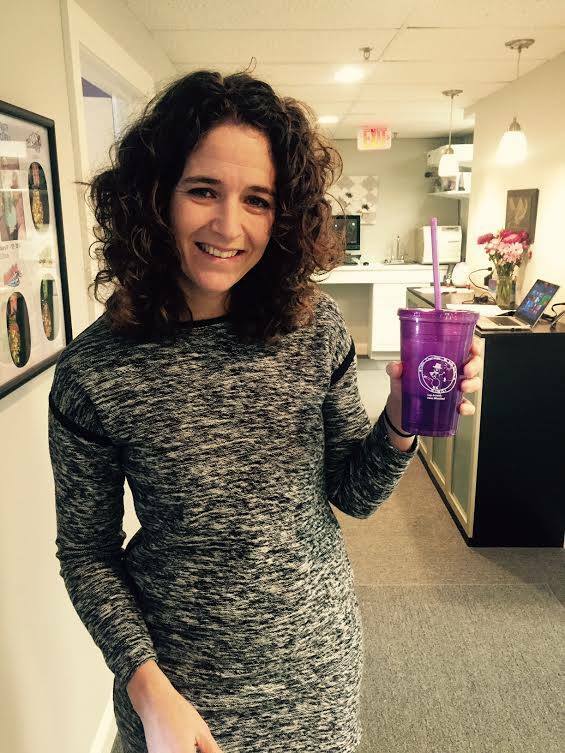 Fun tech shirts and who could forget those awesome purple cups! And on what other race course can you see a crossing guard doing the splits and headstands??? Kudos to Dawn and Kristin who never cease to amaze us with this awesome event year after year! It was a great day and our fantastic community led by Kristin and Dawn made it happen for the Mays. Thanks for the great cups Misty! !